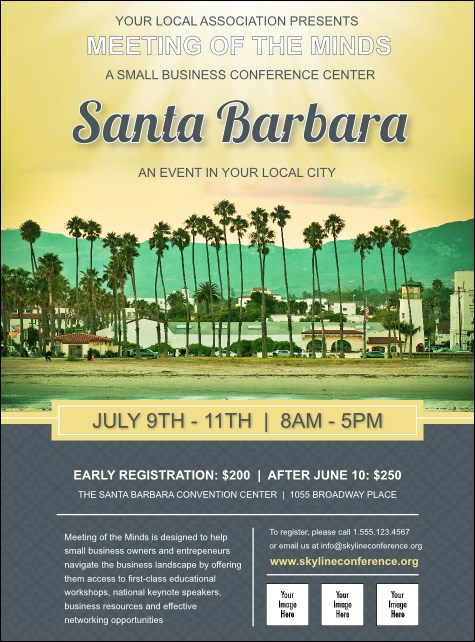 Get your next Southern California event noticed with the Santa Barbara Flyer. Featuring the warm California sun pouring over the mountains and tranquil beach, with room for three custom pictures at the bottom. From Ledbetter Beach to Mission Canyon, create a buzz around SB with the right flier. Need more event materials? Save time and money with a Matching Event Kit at TicketPrinting.com.